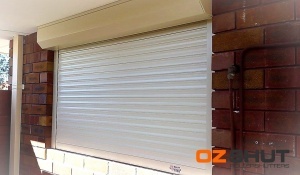 We have to say going with OzShut Roller Shutters they were very informative of their products and the installers were awesome, the job from start to finish was done so quickly. Being our second time with OzShut we have never had any problems with them, they are a fantastic company and we absolutely love our new Roller Shutters. The quote and price was perfect and reasonable, we definitely recommend choosing them as we have.